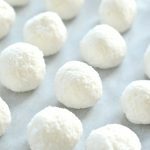 No Bake Coconut Balls recipe – those are healthy white snowballs cookies with only 4 ingredients. Dairy free, gluten free and raw vegan. A delicious paleo treat for Christmas with a pure white color. 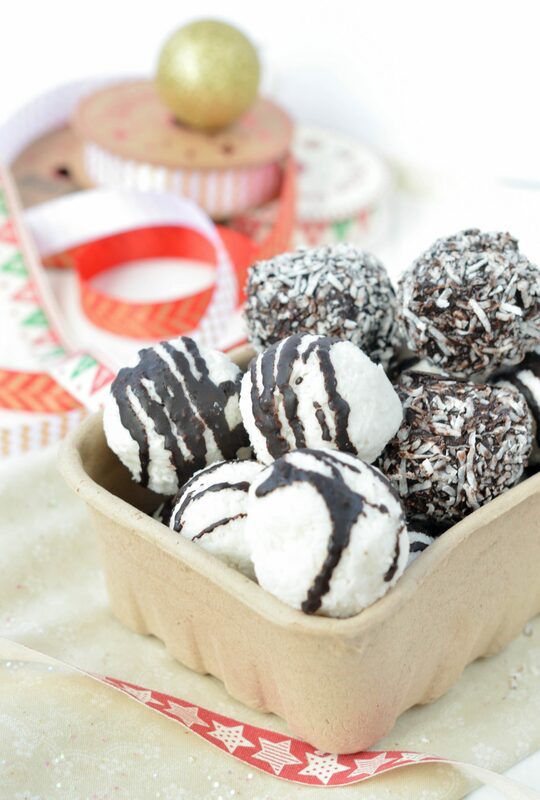 No bake Coconut Balls recipe healthy + simple ! I am so addicted to this no bake coconut balls recipe. You know I don’t eat much sugar – even the healthy one – and those are safe to eat in moderation as they do not contains much carbs and they are refined sugar free ! One coconut ball contains only 3.6 gram of natural sugar – less than a teaspoon ! Amazing right ? And look at this pure white color: those are the best Christmas snowballs cookies ever ! Super fine almond flour – also called ground almond or almond meal. I recommend to choose the fine almond flour made with blanched almonds. It will make those coconut balls super white. Coconut water or water. I love the extra coconut flavor from coconut water but both works. Sugar free maple flavored syrup – keto and low carb or if vegan use brown rice syrup or paleo use maple syrup or blue agave. I am absolutely in LOVE with no bake cookie balls. I make some for any occasion. For breakfast, I recommend my raw chocolate oatmeal balls, for an afternoon tea with friends I love my no bake carrot cake balls and for Christmas I recommend you look at my list of 12 Healthy No Bake Christmas truffles, you will love them! I made some for my mum Christmas last week. She lives in France and she is type 2 diabetic. As it was my dad birthday I send a package to France and I wanted to add something homemade that my mum could enjoy and could last without being stored in the fridge. They arrived after 2 weeks in France and taste great! I did the 100% sugar free recipe for my mum using sugar free syrup – see recipe note. There is no much more to say except that those no bake coconut balls recipe is simple, delicious and you must try them. I did some pictures with Christmas decoration because I am really thinking about making small bags of those as Christmas gift for my family and friends. Does this looks cute? Enjoy the recipe and see you around for another healthy treat ! Watch the No Bake Coconut Balls recipe video ! 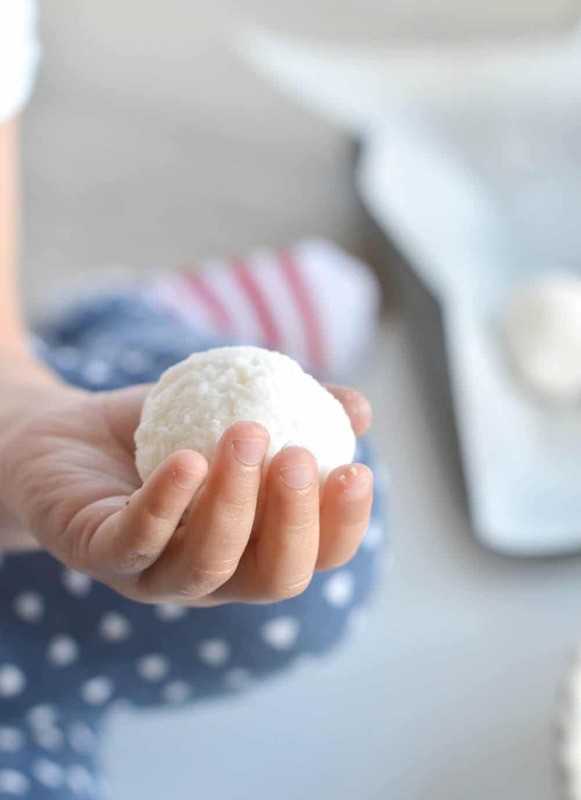 No Bake Coconut Balls recipe healthy white snowballs cookies with only 4 ingredients. Dairy free, gluten free and raw vegan. A delicious paleo treat for Christmas with a pure white color. Cover a plate with parchment paper. Set aside. In a food processor, with the S blade attachment add all the ingredients. Start with 2 tablespoon of coconut water (or water) and see how it goes. Process on medium speed for 1-2 minutes until it form a crumbly dough easy to bring together in your hands to shape balls. If too dry, add the extra 2 tablespoon of coconut water (or water), process again. Stop the food processor and scoop out some coconut ball dough in your hands. Roll to form a ball, place on the prepared plate. Repeat until you form 25 balls. You can decorate the snowballs by drizzling melted chocolate on the top of the balls or simply rolling them into desiccated coconut. If you are using chocolate, simply melt the chocolate in the microwave on high by 30 seconds burst. 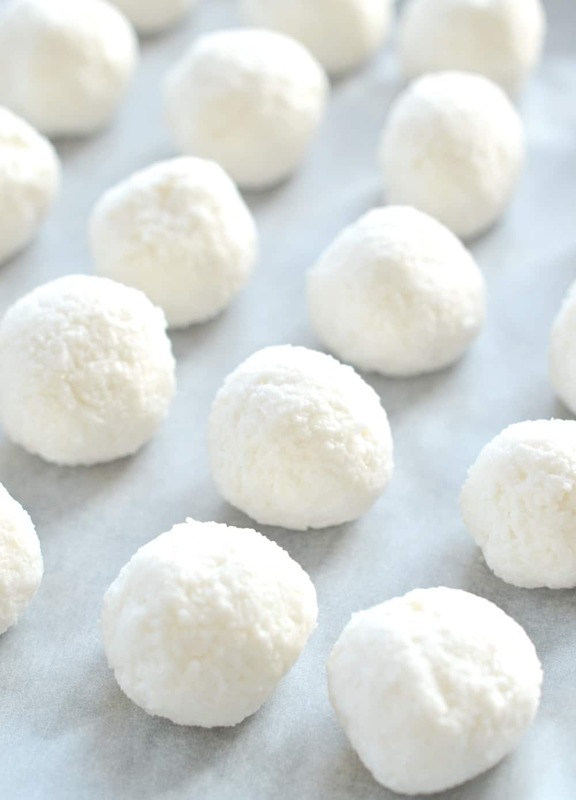 White coconut balls color: I recommend to use super fine almond flour, it is a very white/beige flour made from blanched almonds. 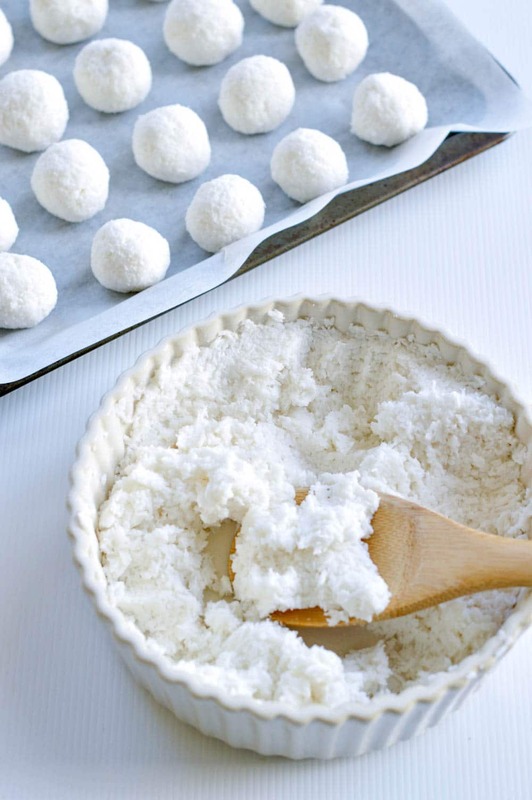 It will create beautiful super white coconut snowballs cookies as in the picture. In my video, I am using almond meal made from unblanched almonds. You can see there is tiny brown bites of almond skin on the balls at the end. Still delicious but less white for Christmas. Chocolate: you can decorate the balls with any chocolate you like. The darker the healthier. I used sugar free dark chocolate to void the extra carbs and sugar. Sweetener: I using natural sugar free liquid sweetener made from Monk fruit. It contains zero calories and zero carsb. You can also use others liquid sweetener (not low carb) liquid brown rice syrup, maple syrup or agave. Hi Maria, You probably can but it will not dissolve very well as coconut sugar is bit more ‘grainy’ than stevia powder. I will try 4 tablespoon of brown rice malt syrup or honey. Those ‘sticky’ natural sweetener will hold the batter while adding sweetness and avoid the ‘crunch’ of coconut sugar. I hope you will enjoy this recipe ! thanks for coming on the blog 🙂 Carine. Thanks for this great easy recipe. Can you tell me how many snowballs this amount can expect to yield? Hi Lucy, I am sorry for the late reply. I was away on Christmas holiday and I did not have access to my email. This coconut balls recipe makes about 25 coconut balls, golf ball size. 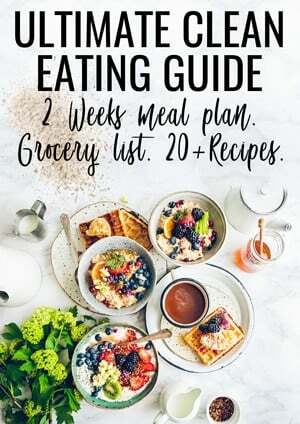 I hope you will try the recipe, even after christmas. It is a lovely treat for people on sugar free diet. Enjoy and Merry Christmas. Carine. Just wanted to have a look for the recipe as some guys pinned it from pinterest and I have loads of desiccated coconut :-). I was wondering if I could use also honey or maple sirup ? Hi Matthias, yes you can any liquid sweetener work in this recipe. enjoy! Carine. I am happy you love the recipe ! Carine. Hi,I did not try to froze those raw coconut balls. I always enjoyed them fresh. The recipe took barely 10 minutes to prepare and then I store them up to 4 weeks in the fridge in an airtight container. I know that some people froze raw balls so I am sure it will work perfectly. Make sure you use a airtight plastic bag or box and maybe defrost the day before. Let me know how it taste if you try freezing those! Carine. I freeze them all the time! Prior to eating keto, I loved all my candy bars frozen, so still like frozen treats! I eat them right out of the freezer. I make them smaller so there are more per recipe and I can eat 1 or 2 depending on how big the sweet tooth moment is! LOL! That is such a great comment! I would never thought about freezing my raw balls 🙂 I will try next time and give a bite into the frozen one too 🙂 Have a lovely time on the blog. XOXO Carine. Is natural coconut flavor the same as coconut extract? Yes ! it is basically the same thing ! both will work in this recipe. The coconut extract is a little more concentrate and has a stronger coconut flavor. Enjoy the lovely coconut balls. xoxo Carine. I made coconut milk this morning for my overnight oatmeal…..what to do with the coconut meal from the juicer? Your recipe takes care of the coconut meal. I hate to waste food, so this is a great way to use the coconut meal from making the milk. I made with coconut flour as I did not have almond flour. I also have some passion fruit powder that I may roll some of the balls in. I melted some white chocolate and some Dark chocolate to drizzle on the truffles when they are ready to put into the refrigerator. I am putting them in small “cupcake” papers to keep their shape and outer powder integral. Hello! That sounds wonderful! I am excited to see the picture, share on instagram and tag my account ever send it to carine at sweetashoney.co. Thank you SO much for sharing your story and how you used coconut meal and coconut flour in this recipe, Inspiring ! Love from NZ, XOXO Carine. I am really excited about this recipe! I do not have a food processor, how can I still make these cocoanut balls?? Hello ! No, I am sorry you really need a food processor to make those balls or the batter won’t hold together. Thanks so much for trying my recipe. Enjoy the blog. XOXO Carine. I am very happy to read your comment today! I never tested those coconut balls without my food processor so I am very happy to know it works in a mixing bowl ! Since I am having a food processor I tend to over use it 🙂 Thanks for sharing and for testing my recipes. Have a lovely end of year. Merry Christmas and happy new years ! Carine. How did you get your coconut balls to turn out so white given the color in the sweetener? I’ve tried and mine are just not as white. Any tips? Hello! It really depends on the sweetener you are using. I love to use either brown rice syrup or sugar free liquid maple syrup. Both are lighter in color and also remember it is a picture, full light on so I admit that it real life they are slightly les white, but still white ! Enjoy the recipes on the blog. XOXO Carine. Amazing Theresa! but you don’t have to freeze those, simply keep in the fridge up to a month in a cookie jar or airtight container! I wish you a Merry Christmas from New Zealand. XOXO Carine.